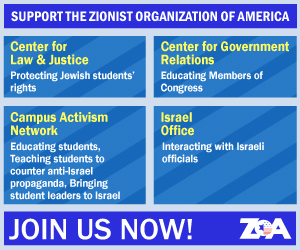 The ZOA strongly urges Fox News not to succumb to the Hamas-linked Council on American-Islamic Relations (CAIR)’s boycott threats and demands to fireFox’s pro-Israel knowledgeable, beloved star TV host, Judge Jeanine Pirro. Giving in to CAIR’s censorship demands would severely damage Fox News’ unique reputation as a “fair and balanced” news outlet – and send a chilling message that no one can discuss the radical Islamist roots of Congresswoman Ilhan Omar’s virulent antisemitism. Firing Judge Jeanine would thus do a tremendous disservice to Fox’s viewers and the American people, as well as diminish Fox’s viewership. Courageous, inquisitive star hosts such as Judge Jeanine and Sean Hannity are why so many Americans watch Fox News. Back in 2010, when CAIR called for Juan Williams to be fired from NPR, for expressing fears about potential radical Islamists in airports, Muslim reformer Dr Zuhdi Jasser, of the American Islamic Forum for Democracy, explained that CAIR’s demand was a diversionary tactic, to prevent discussion of the radical Islamist ideology that is the root cause of terrorism. CAIR’s current demand to fire Judge Jeanine is likewise a diversionary tactic to prevent discussion of the radical Islamist ideology underlying Ilhan Omar’s deep-seated, irrational Jew-hatred. The gist of Judge Jeanine’s statement was a query as to whether Ilhan Omar is “getting her anti-Israel sentiment doctrine” from an adherence to Sharia law. Why isn’t that worth discussing? 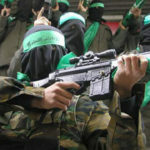 Fox News should surely not allow its programming be dictated by radical Islamist Hamas supporters. It’s unAmerican.